Those affected by this Dosha, particularly women have certainly felt its presence on their charts when their parents start looking for a bridegroom. “Sorry, we are looking for a non-Manglik girl”, is what the parents of the girl hear from families of prospective bridegrooms. While placing an advertisement in matrimonial columns, the parents of the bride to be, had rather ensure that they mention the Mangal Dosha or else they could be accused of ‘concealing vital facts’! A Mangal Dosha is caused on a chart when the Mars occupies one of the following houses on the Natal Chart: 1st, (2nd), 4th, 7th, 8th and 12th house from the ascendant or Lagna. Hence when Mars occupies any of one of the above mentioned 6 houses out of the 12 houses on a natal chart, it causes Mangal Dosha. This could mean that half of the world’s population consists of Mangliks! 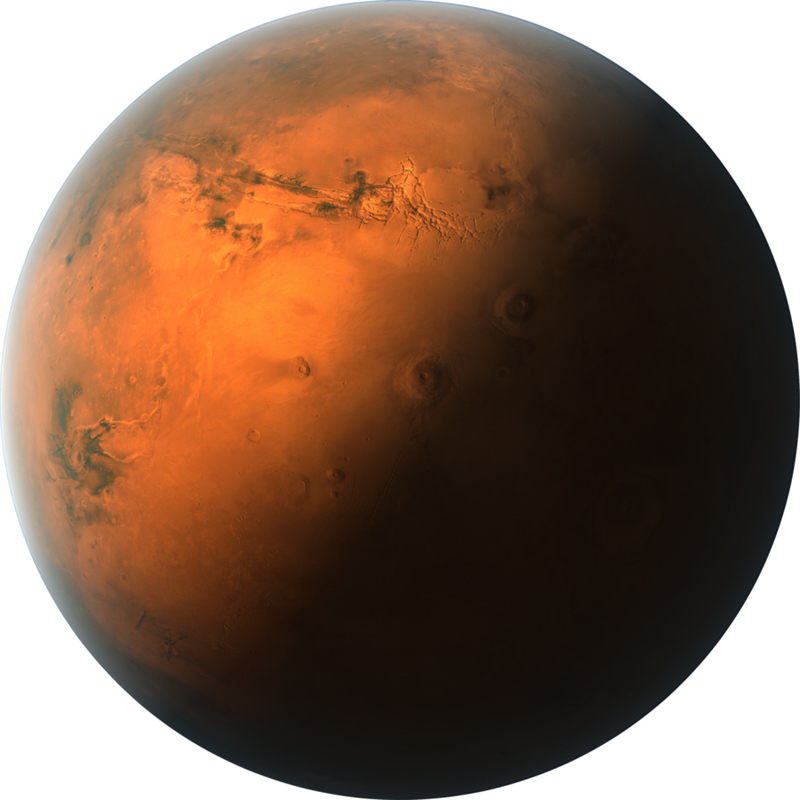 Mars is known as Mangal, Kuja, Chevvai or Angaarakan. The red Planet Mars signifies fire, energy, self-esteem, respect, ego, anger, etc. What happens when a person is born Manglik is that the person is too fiery, proud, angry, courageous, rebellious, short tempered and has a nature that is hard to adjust with that of the others. It is quite understandable that such qualities in a person have the propensity to cause disturbances in any kind of partnership, particularly in marriage. It is said that Mangal Dosha could be a terrible thing when it concerns marriage and it could lead to separation or divorce. It is also feared that Mangal Dosha could cause the untimely death of the spouse of the Manglik woman. One of the founders of Vedic Astrology Sage Parashara said that if a Manglik woman married a Manglik man, the ill effects of the Dosha are cancelled. Astrologers and priests prescribe expensive Poojas and remedies for which the parents of the bride to be, generously pay. In today’s modern world, well educated and ‘emancipated’ young people brush the concept of Mangal Dosha away and go ahead with their marriage breaking the Manglik law. Many a non-Manglik young man, goes against the wishes of his parents and does marry a Manglik woman. As time goes by, they do get accepted by the man’s parents and they start living together as a joint family. Now comes the problem. Even the slightest argument or quarrel between the young couple is taken very seriously by the mother of the young man and she accuses the poor young woman of being a cantankerous and an obnoxious daughter-in-law as she is Manglik. The mother even threatens the poor young woman that she would get her son married to another woman who is a non-Manglik! However some ‘good’ mothers-in-law condescend to find a ‘solution’ by consulting astrologers and priests who in turn suggest them Poojas, Yantras, Mantras, Vraths and what not. Mars, as I said earlier, signifies fire, courage, vitality and confidence which when left underutilised, may turn into aggression. Some hundreds of years ago in India, when families were totally patriarchal, they certainly did not prefer a daughter-in-law who would ask too many questions or challenge the men and the senior women of the family. They wished for a modest, docile and a submissive daughter-in-law who would not only be the wife of the son of the family, but would also work hard and complete the daily chores as per the instructions of the senior women of the family. Now Vedic Astrology is an ancient science and it says that people with Mars in one of those six houses on the chart would possess strong rebellious qualities which may border on disobedience. Well, there we go! This was the reason (I presume) why non-Manglik girls were preferred to the Manglik ones! Unlike in Western countries, the culture of parents ‘arranging’ the marriage of their sons and daughters is widely prevalent in India and in a few other neighbouring countries. In such cases young people marry someone that they have never met before let alone having a previous impression of that person’s nature , qualities or behavioural patterns. This is exactly where matching of horoscopes as per Vedic Astrology comes of great use. As a person researching Vedic Astrology, I can say with certitude that there has hardly been any chart that I read wrong. My general analyses of natal charts were always 75-100% correct. Therefore, I believe that in order to avoid imbalance in the relationship, it would make sense to match horoscopes before deciding on the wedding of two people that have never met each other before. Should a Manglik incompatibility exist in the chart of a prospective bride, groom or both, and if the two be confident of their love for each other, they should consider discussing openly and settling differences that could be present between them. We are in the 21st century and I find it hard to believe that 50% of the population of women in the world would either ruin their marriage or lose their husband just because they are Mangliks! It would be wise if married couples with differences sat down and discussed each other’s potential and discovered ways to harness all the energy that each one, particularly the Manglik one had. Anger in a person is a strong sign of their ego and ego is one of the prime negative factors that prevents spiritual growth and Karmic evolution. Anger increases the distance between a person and divinity. From the Karmic point of view, a person is a Manglik because of his or her past Karma. Through Vedic Astrology, we can easily get a fair idea about our past Karma which can further help us on working on balancing our Karmic equation. The past is gone but the future belongs to us and it lies in our hands. We can shape our future simply by adding more positive Karma to our Karmic account. More positive Karma means less negative past Karma.